Our club is committed to operating under the approved Responsible Serving of Gaming Codes of Conduct. As a small community based club, we are serious about our gaming obligations. We are affiliated with Community Clubs Victoria, and therefore you can be assured that we are operating under approved Codes, and ensuring all codes are in place. For further information, on our Best practice guidelines for the implementation of Responsible Gambling Codes of Conduct and Self-Exclusion Programs please click here. To access the Code of Conduct please click here. Online counselling is also available with free and immediate access, 24 hours a day, 7 days a week to a qualified gambling counsellor. Callers can choose to talk to an online counsellor anonymously. 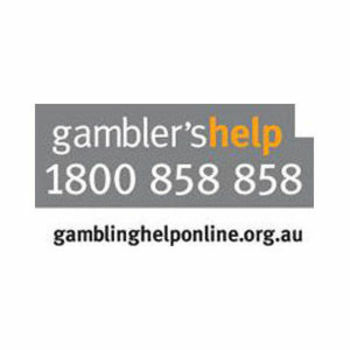 Alternatively visit the website www.gamblinghelponline.org.au to understand the resources available and how to access them. Self exclusion from gambling for Victorian clubs and hotels is managed by the Australian Hotels Association. Self exclusion is an entirely voluntary process. It is an agreement the customer makes with themself and for themself. It involves no other person in any responsibilities – legal or otherwise. Click here to see details of how the Self Exclusion program works. To become self excluded a customer will need to attend an interview with an AHA officer. At the interview their photo will be taken and they would be required to sign the Deed of Self Exclusion. Customers should ensure that you read the deed thoroughly and if required, seek independent advice concerning the contents of the Deed. The contents of the Deed is explained to the customer at the interview. When customers call to arrange an interview time, they will be asked to nominate by name the venue/s they wish to be self excluded from. If you would like more information on self exclusion, or a customer would like to arrange an interview for self exclusion, contact any Self Exclusion Officer at the AHA on (03) 9654 3491 to arrange an interview time. Ask our staff about how to track your gambling spend.